Bob Highlands has captured the essence of the transisition from this world to the next. Follow his tragic hero, Winston James Cummings, as he discovers the reality of what waits for each person just beyond the door marked death. You will be forever changed in how you view the next life. when you pass from this world into the next. 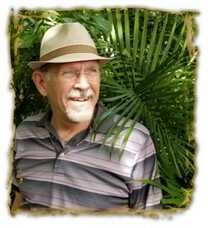 Bob Highlands is a writer decicated to the sharing of truth from the Word of God. Using both fiction and non-fiction his books allow the reader to discover the great and simple truths of God's Scriptures.